Digital marketing is also known as data driven marketing where-in products or services are marketed using digital technology. It is a form of strategic management where-in, a brand is developed online using internet resources. Marketing has always been about connecting with the audience at the right time and customer engagement is quite challenging in a complex retail environment. Till date, the marketing approach or strategy has always been linear or one way communication between a buyer and seller. However with digital marketing, communicating with prospective clients or customers has turned out to be an efficient two way process. Digital marketing has proved to be a pro in establishing the right communication at right time with right set of audience. This has made it all the more important and essential in this technological era. The way internet is being used today, has changed completely from the way it was used few years back especially with ecommerce skyrocketing. Right from a television to a sock, people are buying everything online. And, the rapid development in mobile technology has led to easier and faster access to internet making the online shopping, a breeze. Hence, digital marketing is the next fad and career in this field can prove to be a good choice. Moreover, demand for skilled professionals is higher than supply which makes the digital marketers as the most sought after employees. Digital marketing is not like other subjects where-in you have to join a college or a course to understand things. For example, if you want to study law, you would have to join a law college. However, it is not the case with digital marketing. Anybody with a computer and internet can explore and understand the basic technicalities of this subject. There are umpteen number of training videos and tutorials on internet making it possible for anybody to learn digital marketing. This subject is also highly experimental in nature which makes it impossible for anybody to just learn the theory and get it right for the first time. To get a good insight about different functionalities of online tools, a prospective candidate should experiment with them. For example, if the job seeker is a writer, he should write a blog or an article and put down his knowledge to boost the post online. When the post receives fair number of viewers, metrics speak for themselves to an employer. Doing so, will also help you build your own brand online and earn a few extra bucks as well. 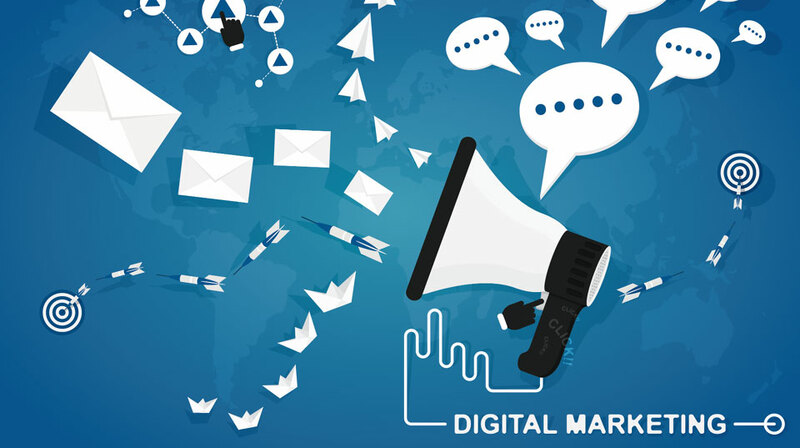 Digital marketing has evolved as a world in itself. It consists of various things like social media, content marketing, SEO, PPC, inbound / outbound marketing and many more. There are many tools supporting each subject in digital marketing. Email marketing: Mailchimp, Target hero, Reach Mail, cake Mail etc. SEO: Moz local listing score, keywordtool.io, google analytics, google webmaster, quicksprout etc. Social Media: Hootsuite, Social Oomph, Agora Pule, Sprout Social, EveryPost etc. It is utmost important for a prospective candidate interested in digital marketing, to be abreast of various tools used. Knowledge and hands-on these tools can prove quite useful in a resume. With all the online marketing campaigns, writing content for ads, a job in digital marketing might not sound very technical. However it is. This field is data driven and is very much technical in nature. Metrics are the king in this subject. You might have the knowledge on the functionality of the latest tool but if you cannot answer in numbers in an interview, you are sure to be disappointed. Just not the ROI on a Facebook ad or an email campaign, it is also necessary to have basic knowledge of HTML and graphic design. Digital marketing is a subject where-in experience gets more importance than a handful of certificates. Working knowledge on the tools available online does not suffice for a job. It is important to show good amount of experience in the interview which can be gained through internships. There are many startups or developing websites who would hire a helping hand. As digital marketing requires great amount of experimentation, anybody with knowledge and eagerness to explore would be considered. And as it is not easy to bag a role in a branded company, one should should start their as an intern or in an entry level role to gain experience. If you consider your Facebook friends as your network, then you are wrong. You have to get a strong network circle in any one of the social platforms which can prove useful while running a campaign. This circle should also include social influencers. That means, tweeting thought provoking messages, communicating with influencers, participating in tech groups is quite important for a digital marketing job. Conclusion: As self experiment or exploration plays a vital role in digital marketing, a prospective candidate must aim for it to get better job opportunities. For more information on other job vacancies, log on to Monster India, the most efficient job search site. The Million-Dollar Question of eCommerce: How to Get Repeat Business?